Guess what? I got the job!!!!!!!! I’m officially a M.A.C Freelance Artist! To pick up where we left off, at the end of my makeup application we were informed that if we did not hear anything from MAC by the 26th of September then we did not get the job and to reapply. So the 26th came and I heard NOTHING. I was so confused. I did so well on my interview and refused to believe I didn’t get the job. That’s when I contacted a girl I met at my day 1 interview to see if she heard anything. That’s when she let me know they she was not selected! I was bummed because her work was good! I asked, ” How do you know, did they call you? !” Thats when she told me she had received and email a few days prior saying she had not been selected. I RANNNN to check my email…well I didn’t run but I picked up my phone so fast I ended up throwing it across the room trying to check it. LOL. Any way. I hit you up telling her I didn’t get an email from them. She told me maybe that means I got it and to be patient. sigh. I don’t know what to think because once again I was told if the 26th past and I heard nothing then to assume you didn’t get it. Long story short they called me on Monday September 30th. lol Talk about CP time. When my phone rang and I saw that 678 area code I just knew it was MAC calling! I answered…sounding soo excited all I could hear over the sound of my heart racing was blah blah blah MAC Cosmetics Blah Blah Blah. LOL I said yes to everything and see ya at orientation! I’m so happy! 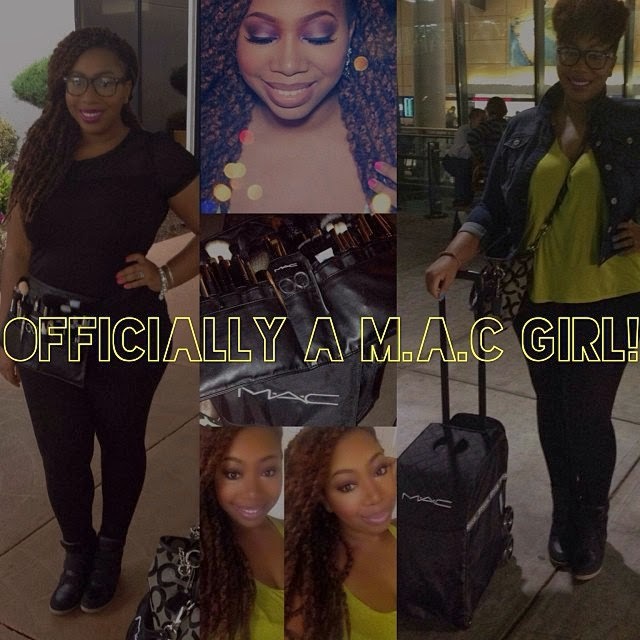 I will let you guys know of course when I start working and will update you on what its like being a MAC girl. No one ever starts at a permanent position so I’m ok being freelance. I hope to be permanent soon however. I’ll keep you posted! ALL MY NEW MAC GIRLS & BOYS who were just hired or are waiting on that call back comment below!!!!!! WOOO HOOO!! !